Today, after doing four projects in four different stores, I still had a conference call at 3. It was getting close in time, so I stopped off at Walgreens just to pass some time. OK…and to look for new stuff. When I find something new to share in the ‘I Spy’ posts, I’ll let you know if it is new to me. That means I don’t recall hearing or reading about it in all the blogs, tweets and Facebook posts I come across. That doesn’t mean no one else has blogged about it, though. Otherwise, I will comment that I have seen or read about it in the blog universe. 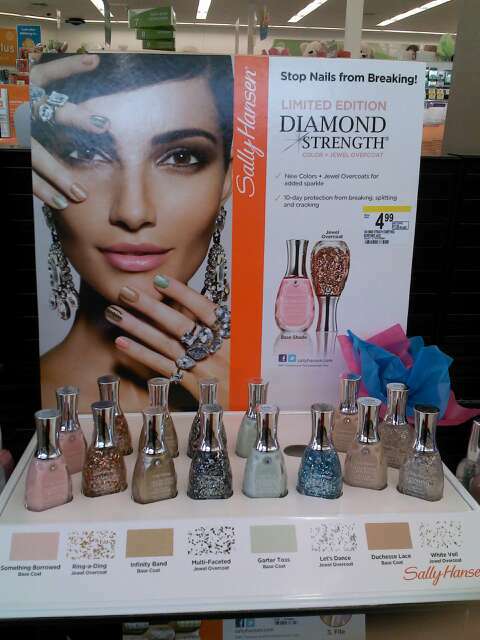 A ‘new to me’ display of Sally Hansen Diamond Strength polishes. 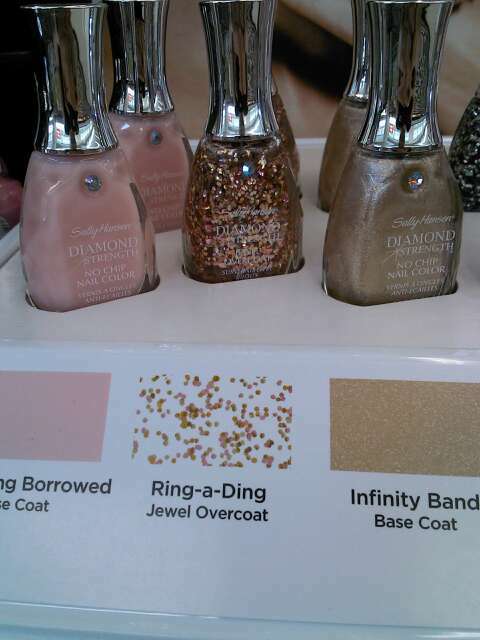 There are four polishes they call a base and then 4 glitter overcoats coordinating with the base colors. It is just a bit more multi-colored than the photo shows. But not by much. This had to have been a newly set up display because only one polish was missing. If you check out the model’s hand, you can see that, even with this washed-out photo, that the polish color is damn near the color of her skin. It is. 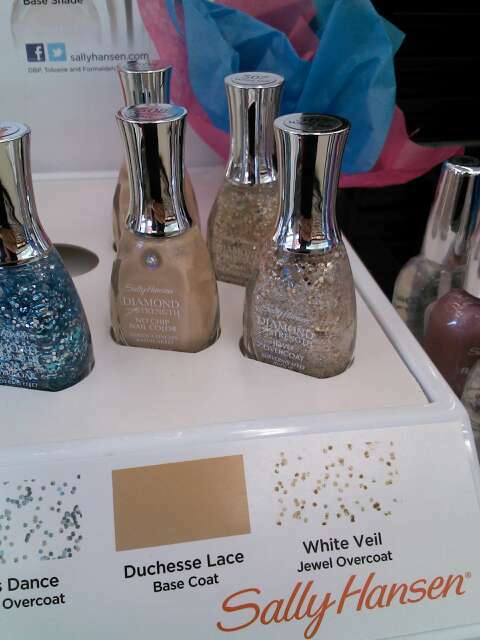 And when I saw this display, it took my brain to see that comparison to realize that the polish isn’t white. It’s just a little bitty bit off. It’s one of those colors that doesn’t fit so nicely in a description. My go at it is to say it is the lightest ever taupy-white. Here’s what I do know: this isn’t a color that interests me. In recap: I didn’t buy one item. Nope. I’m saving my money for the Orlando Premiere show coming up in June and then the Makeup Show that is in September. This is going to take more discipline than passing on cake and cookies! Have you seen any of these items? Did you purchase any and tell me what you think about them. This is the first I have seen of these, so they must be brand new. So new that they didn’t even take the time to price them. But I’m sure they are around the $10 price point the others have been. Cute names! And I’d be all over the ‘Not a Peep’ if they had been the actual, trademarked Peeps. 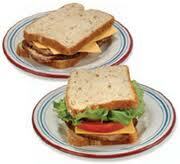 Do these remind you of aprons? Do you even know what an apron is!! Polka dots; WIN! Every single one of these are dainty and cute. Very feminine and flirty. 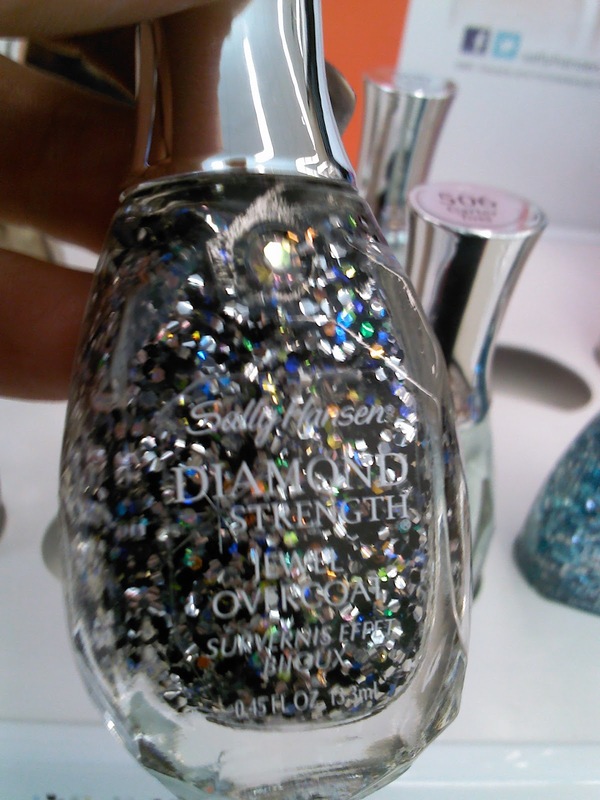 I have read about this collection on other nail blogs. However, this is the first time I have seen it in stores. Pairing the crackle with a regular polish is not only a cool idea but the price is decent at $8. Surprisingly, there are several frosts. I wasn’t expecting that many. Looks like 4 shades. But I think all the base colors are fun and trendy shades. 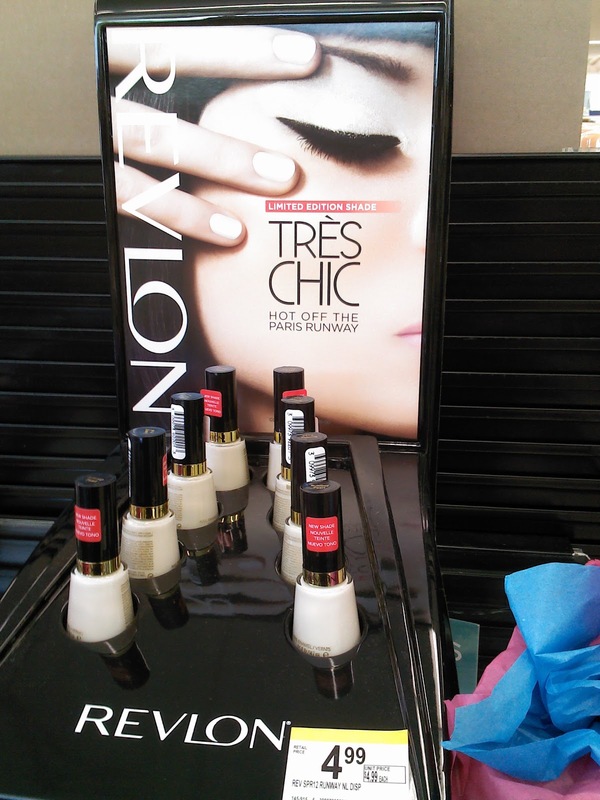 The display had samples of the finished look. Then, those silly displays are tipped at just the right angle to look good visually, but to photograph terribly. 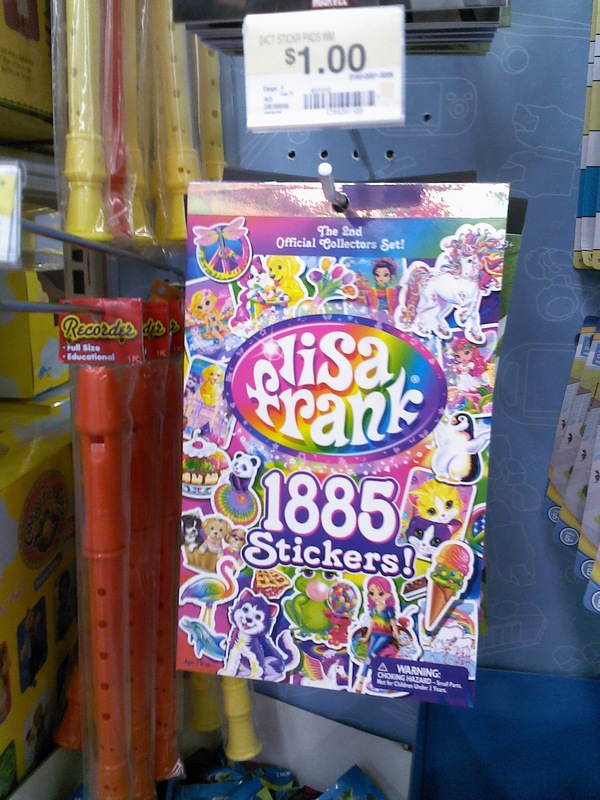 Do you remember Lisa Frank products? These go back to the ’70’s. I remember getting some of these stickers in high school and putting them up in my locker. LOL Things haven’t changed. There were just two of these books left. I got them both. Would you like to win one? Leave a comment with your email addy and tell me what you like about today’s post. Anyone can win. I’ll keep this open til March 4, 8 PM CST. Will you get any of the Spring LE Salon Effects? How about Revlon’s Crackle Effects, or, are you like me and just done with crackles? As promised, I am going to show you some of the new things I spotted at Bed, Bath and Beyond last week. 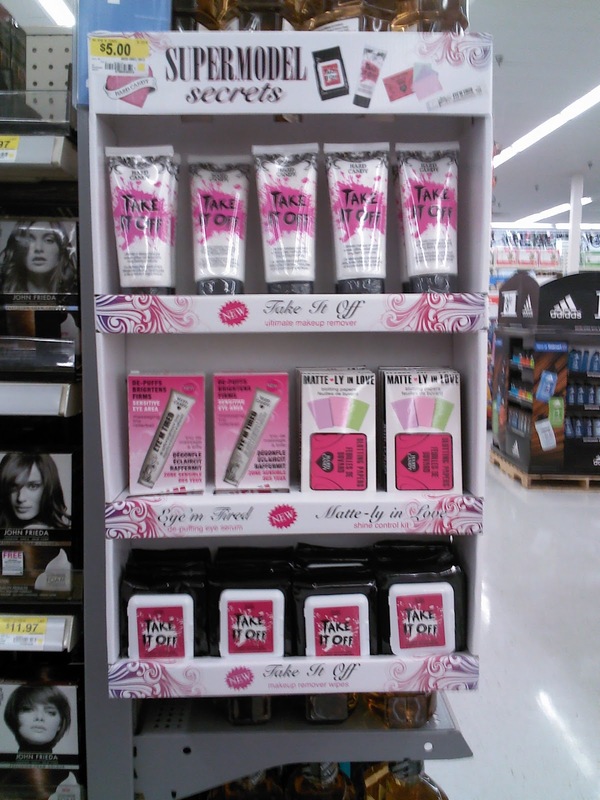 It just so happens that the department associate was putting up new displays. Gosh, that’s a pretty green. Being Irish and all, I would love that one around St. Patrick’s Day. 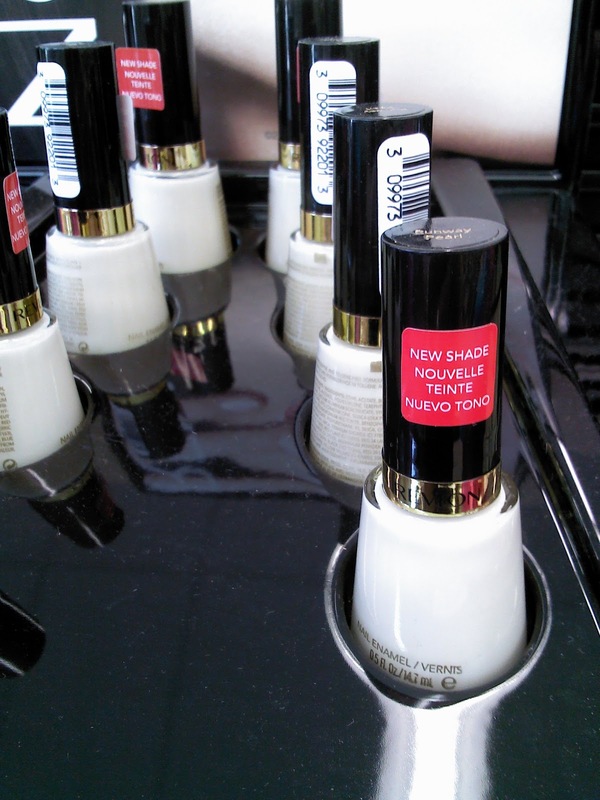 The sales associate, that was setting up the displays, was rather excited to tell me about this Maybelline lipstick. And, rightfully so. Gone are those two-step processes of putting on a drying lip color, waiting for it to dry, then putting another product over that to give the lips some moisture. This one states it does it all in one product. And even if it lasted HALF as long as it claims, I’m sold. I took these photos with my phone camera and all but this last photo (got blurry) have impressed me with what my phone can do. These colors are spot on, even under fluorescent lighting. After I do some merchandising projects, I have to take a photo of the finished deal to send in with my report. I have to do this for the BB&B project I do. What I should make a point of doing is taking the photos of the makeup stuff BEFORE I do the merchandising work. My polish is chipped and shows in a couple of these photos. Blech. If you don’t know it, I have a Facebook fan page. The link to it is over in the right column; the one with Libby lounging on her couch. Click on that to be taking to the site so you can sign up. Make hay while the sun is shining…what a cliche…lol. Made more sense before electricity. Hee hee. For me, it meant it was a beautiful, sunny day; start swatchin’! This is Revlon’s Top Speed One Coat in ‘Smoke.’ Such a pretty smoked out blue/gray. I could have gotten away with that one coat but I did two for good measure. Even though it looks like a creme, there is the very faintest hint of a pink shimmer. This blue manicure is to help bring awareness to Autism, as this month is Autism Awareness Month. I saw an entire endcap at Barnes & Nobles today devoted to books about autism. If you can, please contribute to a friend of Jasmine’s, at ColourCoated blog, that is doing a walk for autism. Please click here, to get the info on how you can contribute. Even $1 will make a difference. I would consider wearing this color for any season. It works right now because it reminds me of an Easter egg color or Easster candy. Remember those malt ball Easter eggs? These are the main reason I can’t get through the season without candy. Because ‘Smoke’ is a fast dry polish, I had to work fast as it really does dry up. It was difficult for me to keep it from being streak free. I’m just pokey. 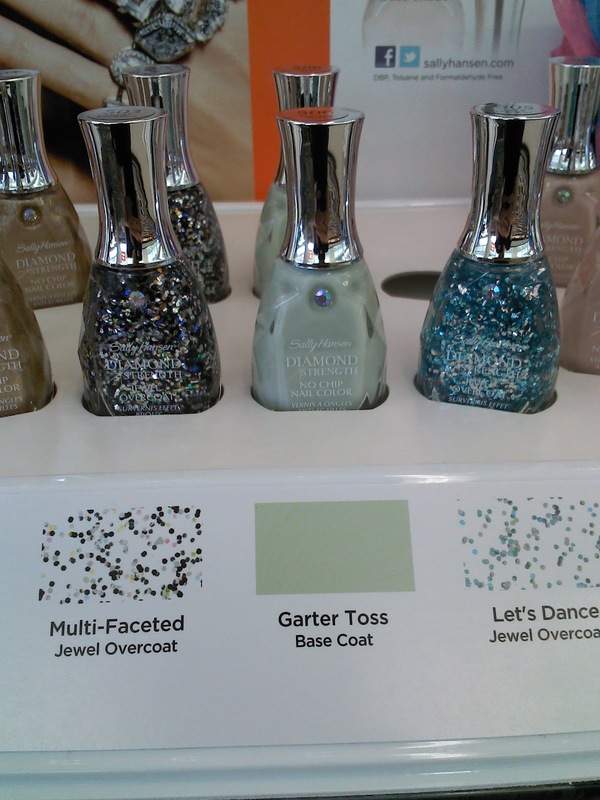 Wouldn’t you like to play with this polish with different types of top coats? What one would you use?